The students work in teams for six days. One of the aims of the School is to introduce students to the process of scientific investigation and the role that research plays in living in a sustainable environment. By combining problem solving activities with intensive support and advice from staff from the three institutions, MDFRC, La Trobe University and Charles Sturt University, the students gain a realistic and fun introduction to freshwater ecology, conservation and the environment. Students, working with staff and mentors will undergo field trips, lectures and demonstrations at a number of locations. 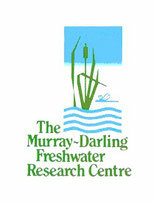 Participants will work at the outdoor research site of the MDFRC, at Wonga Wetlands, near the River Murray, which is operated by Albury City, as well as visiting the Norske Skog Albury paper mill which utilises up to 55% recycled fibre and recycles around 160,000 tonnes of old newspapers and magazines each year. The concluding highlight of the six-day RMDSFR is the presentation of their findings by each group to a meeting of scientists and Rotarians, further enhancing the students' communication and teamwork skills. The participants also complete the RMDSFR with a greater understanding of the role of scientists, their methods and the place of scientific research in Australian society.